Nothing beats the smell of freshly ground coffee! 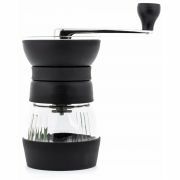 Here you will find many models of high quality manual coffee grinders from brands like Hario, Zassenhaus, Porlex, Comandante and more. A manual coffee grinder requires a bit of manual labour, but the reward is immediate. Apart from the amazing smell, you instantly improve the coffee in your cup. 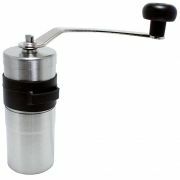 You can get started with an inexpensive model and hugely improve the quality of your coffee. 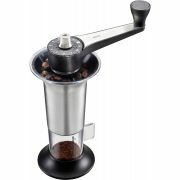 The more expensive models usually have a sturdier grinding shaft that eliminates any wobble for a consistent grind. The premium models can also have an imporved adjustment so that the coarseness can be easily changed and consistently readjusted.